Tottenham have identified Cengiz Under as a potential reinforcement in the attack as they look to get the Turkish international as soon as possible due to the new rules of the transfer window set by the Football association of England. It states that all the transfer activities should take place before 9th of August and the Transfer window will there after be shut until January. 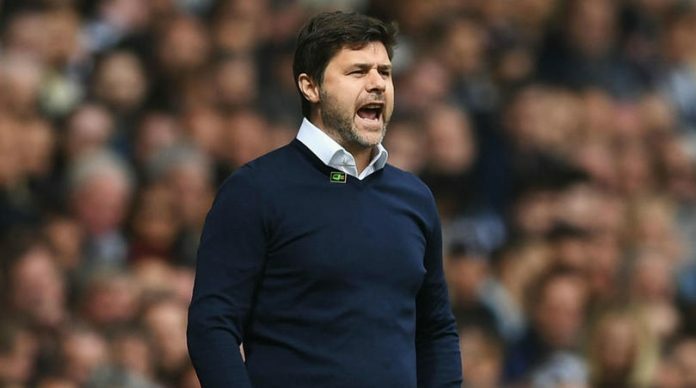 Pochettino is yet to make a signing this season and the fans are growing increasingly impatient as all the domestic rivals are reinforcing their squads with big names and don’t want their team to be left behind, Cengiz Under is a subject of interest for many clubs namely Manchester United, City and Barcelona of course are also monitoring his situation in Rome, AS Roma are expected to reject any advance’s from the respective clubs as they believe they can keep hold of him for another season before they eventually decide to cash in on him. The 21 year old Turk Appeared 32 times for the I Giallorossi’s and found the back of net 8 times and also manged to lay 2 assists. Spurs are lacking a few wide players and need to sign a player according to the needs of the manager and Pochettino has asked for Cengiz Under who can fit into his plans for next season. Manchester United have also stated a desire to sign the 21 year old but are yet to table a bid for him and Tottenham really need to act fast in order to secure the services of the Turkish International. Under could be the perfect player Spurs need as they lack a few in the final third and he has a good physic which shows he is build for the premier league with added skills and pace can do wonders for their squad. Cengiz Under has garnered a reputation back in Turkey as the “Turkish Paulo Dybala”, He has represented his country so far in 10 games and has already bagged 4 goals for the senior squad. Under is immensely talented player capable of playing link up football just the way Spurs boss Mauricio Pochettino likes it. Cengiz began his professional career back in his homeland with a local football club Altinordu he spent a couple of seasons their and later signed for Basaksehir where he had a great first season appearing 32 times and also found the back of net 7 times, His scintillating performance week in and week out at Basaksehir caught the eye of AS Roma’s scouting department and they snapped him up in the following summer of 2017 for a reported fee of €13.5m from Turkish Super Lig side Basaksehir. Tottenham could their hands on a great talent if they manage to lure the youngster away from Italy and the 21 year old in the past has stated a desire to play in the Premier League over La Liga and Bundesliga and but with Manchester United also showing an active interest in the youngster it would be tough for Spurs to get him unless they are willing to battle it out with the Red Devils but Roma will be reluctant to let him go after just one season but if the player himself wants to leave there is simple nothing they can do about it and cash in on him. Manchester United Targeting Another Wonder Kid, Can He Make A Difference?